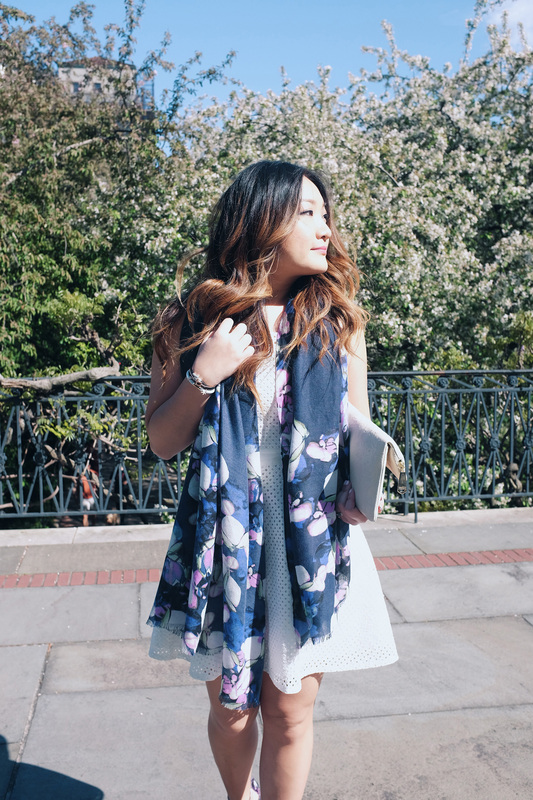 The beautiful Spring weather means wearing florals! Now that it is finally nice out, I’m so happy to start wearing all my girly wardrobe pieces. 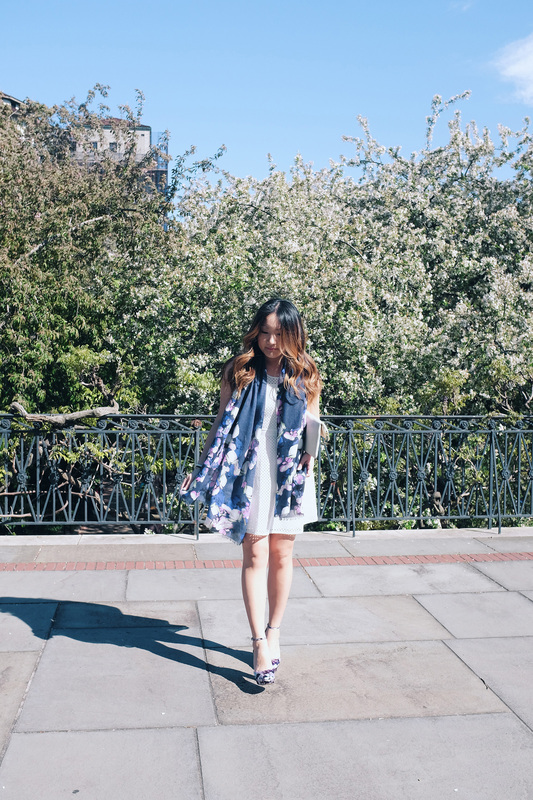 With everything blooming left and right, you can’t help but to wear a little bit of floral print. 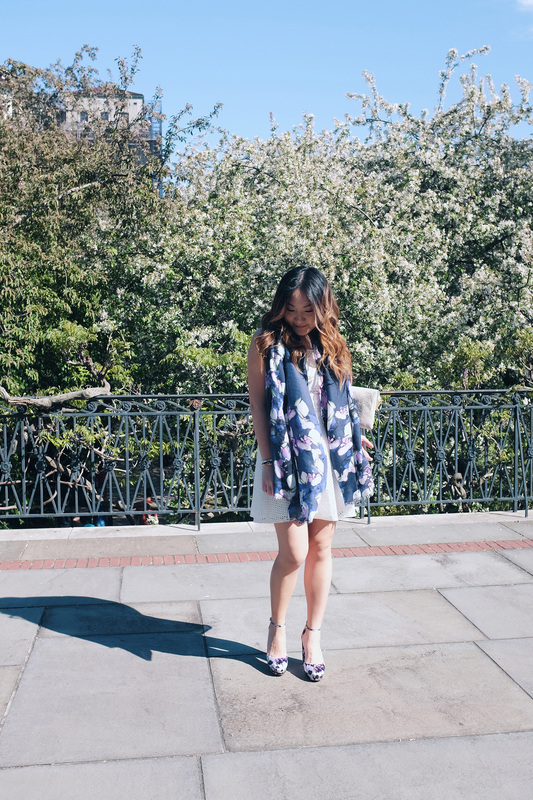 For today’s look, I wore a white dress to create a clean base to add on my gorgeous floral accessories. Sometimes, you don’t want to commit to a full printed outfit, but want add just a touch for the occasion. This scarf is just the softest thing I own! It adds the perfect amount of flair on a neutral outfit or paired with a trench coat on chilly/rainy days. For a non-dressy look, I would wear it with just jeans and a tee. 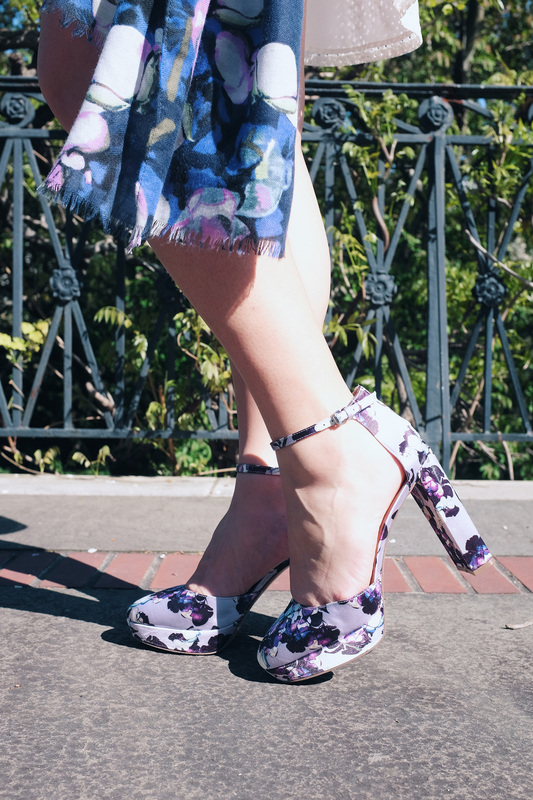 The purple cool palette goes perfectly with my pumps. I was pleasantly surprised at how comfortable these are. Plus, they give me such great height and leg length. Sale PSA: Banana Republic is having an extra 50% off Spring sale. Thanks to Banana Republic for sponsoring this post! I love the matching scarf and shoes and that dress is so cute!! !